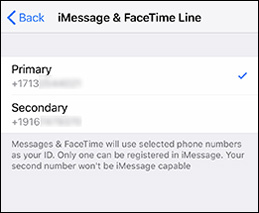 Only 1 mobile number can be used for iMessage and FaceTime. You can change the number in use at any time with the steps below. 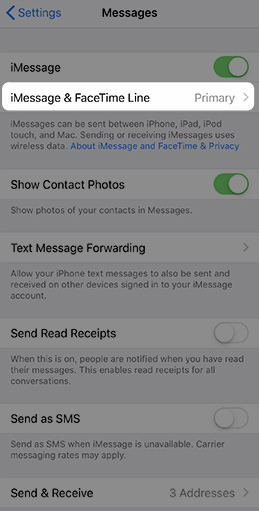 From a Home screen, navigate: Settings > Messages. Select the mobile number you'd like to use.